A civil rights organisation, Vanguards of Nigeria’s Democracy, on Saturday raised the alarm over clandestine moves by President Muhammadu Buhari to “investigate, malign and imprison” former President Goodluck Jonathan on trumped-up charges. The VND specifically accused the President and his All Progressives Congress-led administration of “unsavoury and patently repugnant action,” which it said, were anti-Niger Delta and against the Ijaw ethnic nationality. 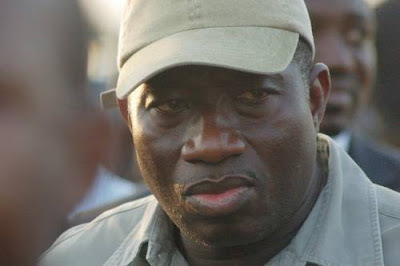 The group believed Jonathan was the target of the controversy surrounding some alleged missing funds from the nation’s treasury during the tenure of the immediate past administration. Special Adviser to the President on Media and Publicity, Mr. Femi Adesina, wondered why people would dwell on speculations when nothing concrete had been established against Jonathan. The spokesperson of VND, Mr. Osaghae Ogiemudia, in a statement in Abuja on Saturday, claimed that anti-Niger Delta and anti-Ijaw posturing of the APC government of Buhari had been demonstrated in several ways. He said, “We, the members of the Vanguards of Nigeria’s Democracy, are aware of some clandestine moves made by the APC-led government to probe, investigate, malign and imprison ex President Jonathan. We are already aware of the trumped-up charges the APC government is leveling against a man who has diligently served the Nigerian state at the highest level of government.